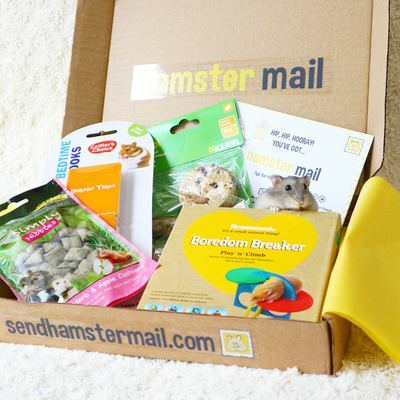 Enter your email address below to receive a notification when Hamster Mail starts accepting new sign-ups! 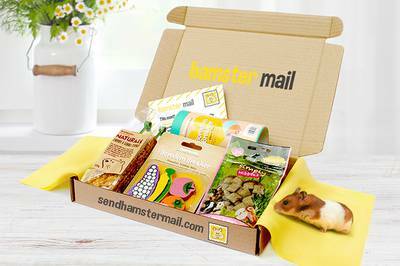 Enter your email address below to receive a notification when Hamster Mail is accepting new sign-ups again. A monthly curated box of healthy treats, toys & fun for your hamster! Your box will ship on the 21st of every month. Please order by the 20th to get the current box. A box of hamster fun delivered to your door! Each box includes a minimum of 2 toys and 2 treats for your hamster. 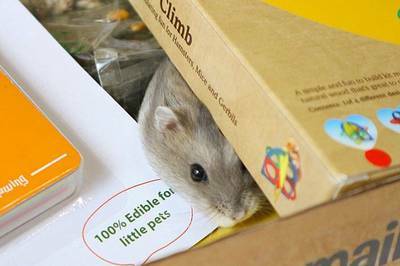 The products inside the box change each month, so what better way for your hamster to try new, safe and healthy products? Inside the box there will also be details of the products included that month, our charity of the month and a message from the Hamster Mail Team. Minimum of 2 toys & 2 treats for your hamster in each box. We only use the best brands and do not include any products which have nasty added sugar. The contents of the box are kept a mystery so you will get a surprise when opening each month! 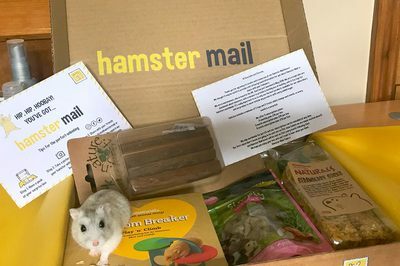 Inside the box there is a postcard with details of the products, our charity of the month and a message from the Hamster Mail team. 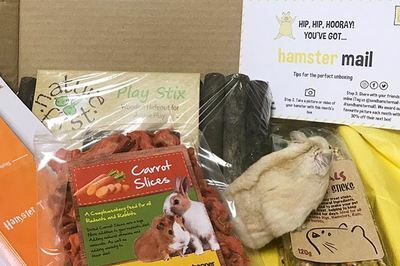 Each box is lovingly curated and packed with tissue paper, creating a full unwrapping experience for you and your hamster. 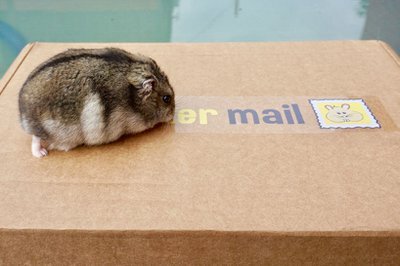 Hamster Mail doesn't have any reviews!